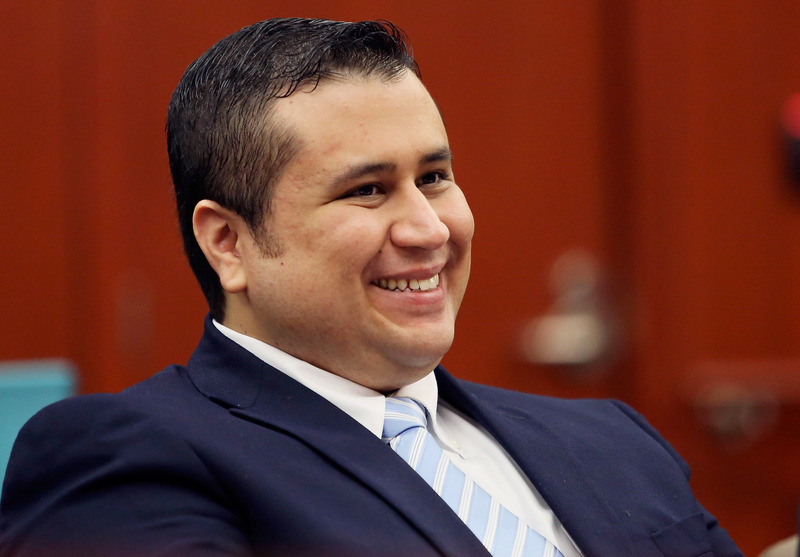 Another day, another piece of good news for George Zimmerman. The 31-year-old Florida resident, whose 2012 killing of unarmed black 17-year-old Trayvon Martin sent the national media into a fervor, is about to be completely, fully in the clear — the U.S. Department of Justice has decided there will be no federal charges against George Zimmerman over Martin's death. The decision brings to an end the last remaining hope for him to be convicted on any criminal charges relating to the fatal shooting. While Attorney General Eric Holder announced that this decision should not preclude us from "taking concrete steps to ensure that such incidents do not occur in the future," as detailed by USA Today, that may come as a cold comfort to the family of Trayvon Martin, critics of Zimmerman, and basically anyone who believes an injustice was done in this case. Despite a story rife with inconsistencies and ripe with opportunities to call his credibility into question, Florida prosecutors were unable to mount a coherent case to convict Zimmerman (if you're curious to know more about the extensive failures of the state's prosecutors, I highly recommend Lisa Bloom's book Suspicion Nation ). After Martin's family learned of the decision Tuesday, their attorney Benjamin Crump related their thoughts to The New York Times. This is very painful for them; they are heartbroken. But they have renewed energy to say that we are going to fight harder to make sure that this doesn’t happen to anybody else’s child. It's worth noting that the standards for trying federal hate crimes cases are so high that this always seemed like a somewhat unlikely proposition. In order to convict Zimmerman of such charges, the Justice Department would've had to prove that Zimmerman killed Martin explicitly because of his race. And while there are certainly aspects of his self-appointed neighborhood watch history that betray a lot of racist suspicion — the staggering number of black men that he called 911 on, for example, and his inherently race-based assumption that Martin might have been a criminal — that's still a very heavy lift. Acting Assistant Attorney General Vanita Gupta explained the decision in a statement Tuesday. Although the department has determined that this matter cannot be prosecuted federally, it is important to remember that this incident resulted in the tragic loss of a teenager’s life. Our decision not to pursue federal charges does not condone the shooting that resulted in the death of Trayvon Martin and is based solely on the high legal standard applicable to these cases. In any case, it seems as though Zimmerman's relatively charmed life will continue. Obviously, a lot of people really dislike him, so that's not so charmed. But if anything's been jarringly apparent in Zimmerman's personal history, it's his ability to evade legal consequences. Since his acquittal for Martin's killing, three different women have made domestic violence complaints against him: his then-wife Shellie and two girlfriends. Two of these complaints involved firearms, and the most recent involved him hurling a wine bottle. None of the women ended up pressing charges, however, an altogether too-common theme of abusive relationships. He was also been accused of making a death threat during a road rage incident in late 2014.